EUROPE: The European Parliament's (EP) energy committee has approved a raft of new measures to modernise the bloc's energy markets. 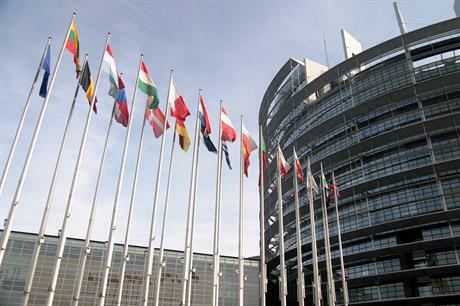 According to WindEurope, the EP's industrial, research and energy committee (ITRE) backed the measures, which will see the phase-out of priority dispatch from 2020 for new renewable energy projects. Priority dispatch will continue for existing wind projects for the duration of its support deal, if that requirement applies. However, there will be stronger rules on curtailment, which will see operators "properly compensated" and generation from renewables "curtailed last", WindEurope said. The measures form part of the Clean Energy Package tabled in November 2016. The committee has also backed measures to phase out balancing requirements retroactively for both new and existing projects, WindEurope said. "It means that renewables assets will no longer be exempted from compensating Transmission System Operators (TSOs) for any deviations in their projected generation," the trade body explained. Elsewhere, the committee backed plans to introduce an emissions performance scheme, which will phase out capacity payments for inefficient or polluting power plants. This in turn should leave more opportunity in the market for renewable generation, WindEurope said. WindEurope CEO Giles Dickson said: "For Europe to move towards a higher share of renewables in the power mix, it needs properly functioning cross-border electricity markets with adequate grid infrastructure. "It's good the Parliament is keeping priority dispatch for existing wind installations and to see clear rules on curtailment. "This helps wind energy projects to reduce risk, lower their costs of capital, and thus minimise the cost of renewables support for consumers. "But we are a bit worried about the new rules on balancing. It's unclear what compensation will need to be paid to TSOs. And wind farms will need to delegate this to third parties with no guarantees it will be done at a fair price."